Feel your own saga unfold as you glide effortlessly through icy Nordic waters. Marvel at the shifting colors of the aurora borealis dancing across a starry winter sky—if luck and the weather are on our side! 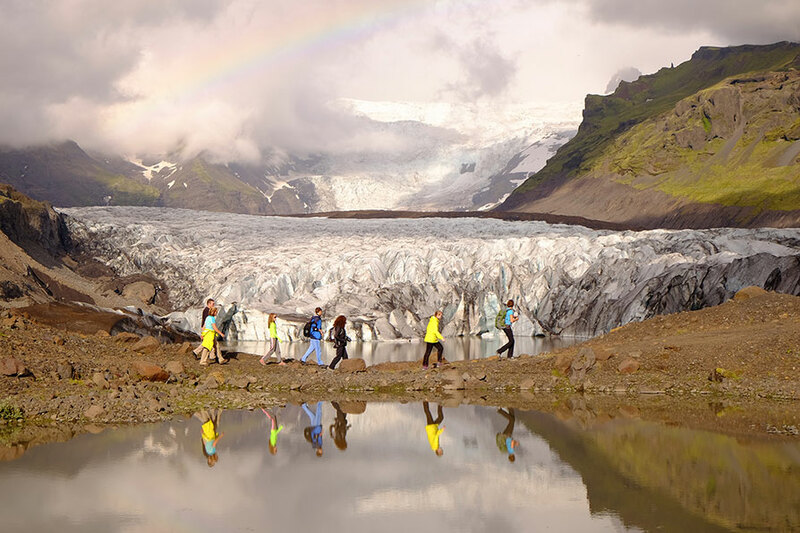 Experience Iceland's remarkable geologic treasures, from glaciers and steam vents to volcanoes and sea stacks. 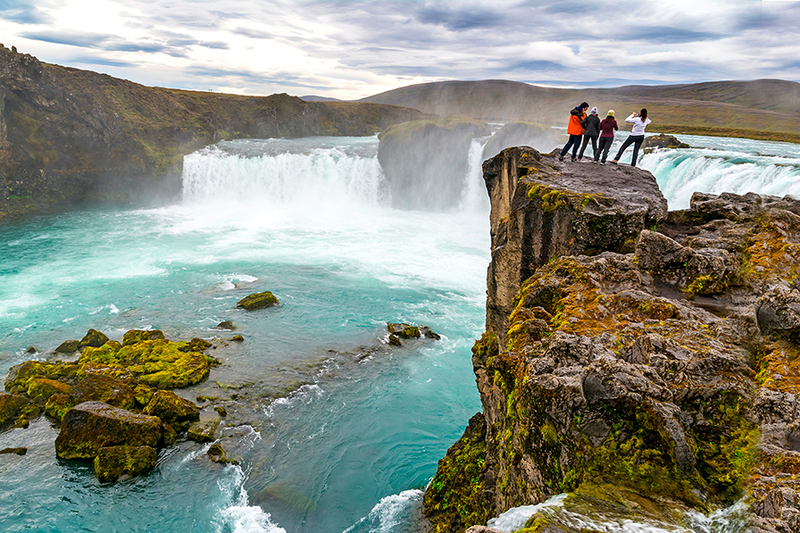 Jump between two continents at Thingvellir National Park, a geologic marvel and only World Heritage site on the Icelandic mainland. 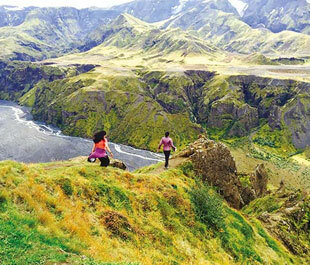 Get ready to experience Iceland’s beauty from every angle – hike in Vatnajökull National Park amid massive ice fields and black volcanic rock, trek past Nesjavellir Valley’s waterfalls, walk in magnificent Skaftafell, explore an ice lagoon by Zodiac and embark on an expedition to witness Iceland’s iconic puffins. 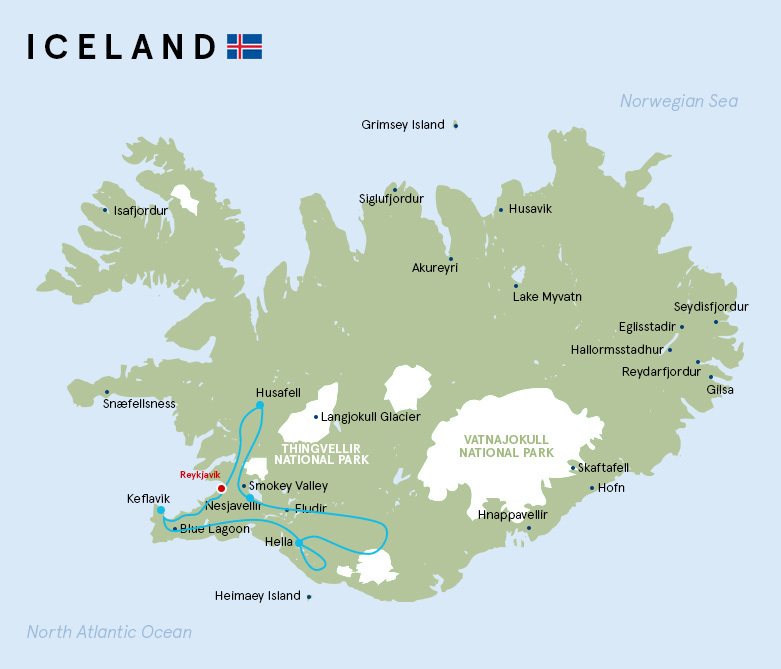 Visit unspoiled wilderness, great for the avid explorer and those who seek the less trafficked Iceland. If you’re looking to see all of Iceland’s quintessential landscapes, we’ve crafted just the tour. 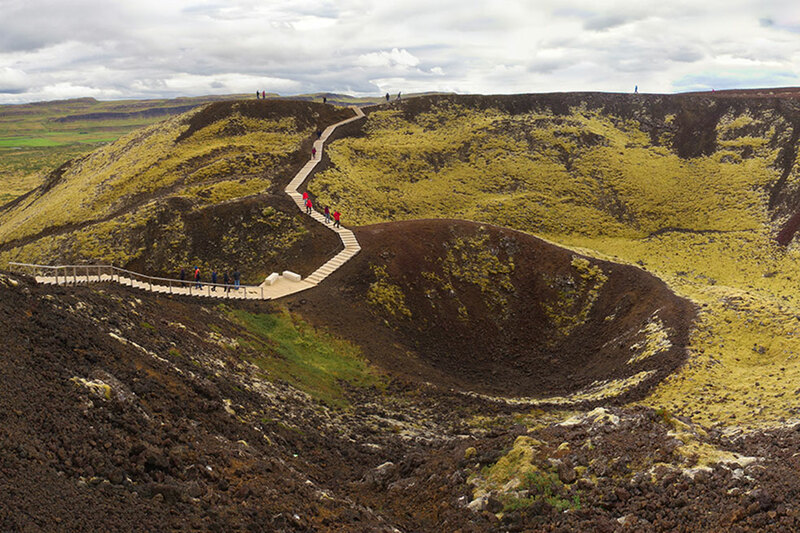 Hike amid lava fields, bubbling rivers, and volcanic mountains, craggy seaside cliffs, otherworldly rock formations, black-sand beaches, plunging waterfalls and rolling farmland. Get a taste of all that Iceland has to offer by circling the country aboard a luxurious and intimate superyacht. 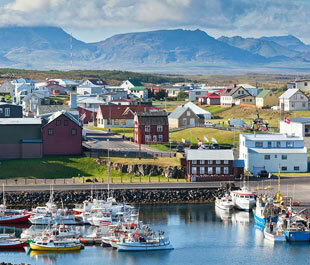 Visit a vibrant island straddling the Arctic Circle – home to fishing families and a puffin colony. Hike along a volcano’s rim, steaming vents, majestic fjords, thundering waterfalls and cliffs alive with the chorus of seabirds. 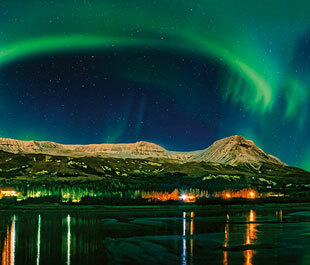 See Iceland’s magical winter wonderland sparkle while chasing the northern lights. 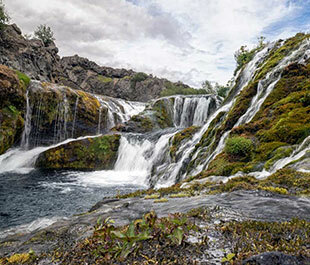 Snowshoe and hike to semi-frozen waterfalls, moss-covered lava fields, steaming vents and boiling mud pools. Drive in a “super jeep” to a glacier for an unforgettable ice walk. End your mystical adventure with a soak in the famed Blue Lagoon, perhaps while snowflakes melt into its mineral-rich waters.